Just give us some basic information about your hotel. Then you can start filling more rooms. We hope that sounds good because we can't wait for you to join us. Which of the following best describes the accommodations you'll be providing to Hotwire guests? Since "Other" was selected, please type in Company Name. Since "Other" was selected, please type in Chain Name. How will you be providing rates to Hotwire? Which amenities does your property have? Beachfront Property is located on the beach. Resort Resorts offer a complete destination experience. Facilities generally include a spa or fitness center, one or more swimming pools, and superior dining options. Depending on location, recreational activities may include water sports, golf, tennis or skiing. Coastal resorts usually boast ocean views or beachfront access. Note: A resort fee may be charged. Daily Housekeeping Daily housekeeping services provided. What is the smallest (minimum) condo type you will be offering to Hotwire customers? Which of the following are included in your All-Inclusive rates? A la Carte Dining Options Dining options include restaurants that offer table service and made to order cuisine. 1. The Hotwire Service. Hotel shall make rooms available for booking through the System, which rooms shall be presented in a manner in which one of the sets of Opaque Characteristics is not revealed to the customer until the customer has paid for the room, provided however, that Hotwire may refuse to offer or display any or all such rooms in the event that Hotwire, in its sole discretion, deems them to be of unacceptable quality. "Opaque Characteristics" are: (i) the hotel name, flag affiliation and precise location or (ii) in the case of a hotel being booked as part of a travel package, the portion of the booking price that will be paid with respect to the hotel room. Hotwire shall make final determinations regarding (a) the star class assigned to all properties and (b) the prices at which rooms are made available for booking. "System" means the software, databases, products, and other components that make up the services that are marketed by Companies to enable guests to shop for, reserve, book, and/or pay for travel services through a computer, a telephone, some other interactive device, or some other booking channel. "Companies" means Hotwire, Inc., a Delaware corporation ("Hotwire") and/ one or more of the entities that control, are controlled by or under common control with Hotwire, and any third-parties that facilitate the booking of hotel room reservations through the System, as applicable. The term "Companies" shall not be interpreted to include IAC/InterActiveCorp or any of its subsidiaries. 2. Property Participation. 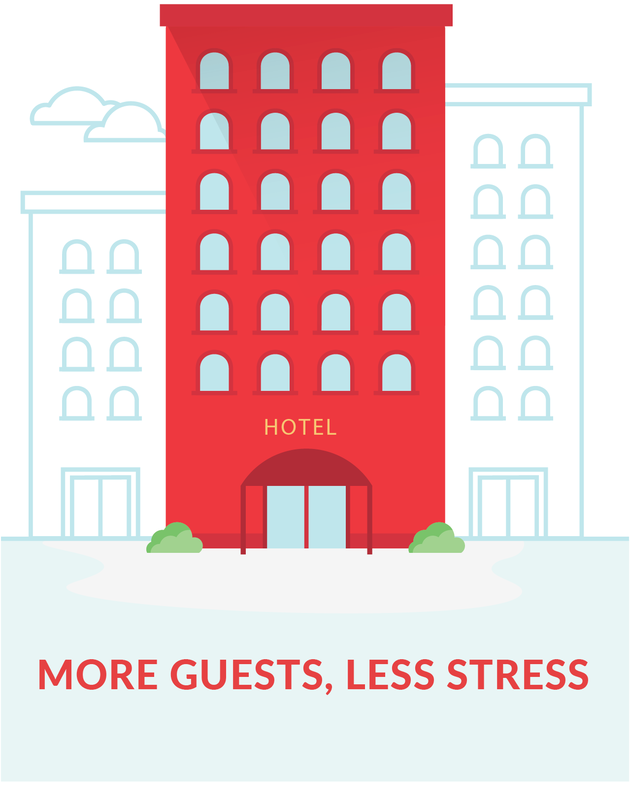 Hotel shall provide rooms for booking by guests on a stand-alone basis and as part of a travel package through the System in cities where Hotwire currently provides service. 3. Property Information. Hotel is responsible for the accuracy of the factual information concerning the facilities and nature of Hotel provided to Hotwire. If any changes to the facilities or the nature of Hotel occur or Hotel is aware that any information about the Hotel on the System is not accurate, then Hotel shall advise Hotwire immediately so that Hotwire may inform guests accordingly and change the contents of the System. Hotel represents, warrants and covenants that it is the owner or operator of the Hotel, that it is not, and any beneficial owner of it is not, incorporated in or resident of a country subject to economic or trade sanctions by United States Department of Treasury Office of Foreign Asset Control ("OFAC") or listed as a "Specially Designated National," a "Specially Designated Global Terrorist," a "Blocked Person," or similar restrictive designation under the OFAC sanctions regime. Hotel must disclose to Hotwire, on an annual basis or as such fees are modified, all charges imposed by Hotel at its discretion on guests, including, but not limited to, all mandatory guest, resort, parking and/or activity fees (collectively, "Resort Fees"). If Hotel fails to disclose any Resort Fees to Hotwire, then Hotel must waive such Resort Fees to guests unwilling to remit payment of such Resort Fees. 4. Rates. Hotel shall provide Hotwire with net, non-commissionable rates ("Rates"), availability, refunding and booking policies on inventory no less favorable than it provides to any other entity for sales or bookings of hotel rooms, whether as part of a standalone or package booking. At any time, Hotel may change the Rates set by Hotel and provided to Hotwire; provided however, that Hotel may not increase the Rates in reaction to a catastrophic force majeure event (including without limitation, the occurrence or threatened occurrence of a natural disaster, an environmental disaster, whether natural or manmade, war, civil unrest, labor disputes, or a terrorist attack). Hotel shall be solely responsible for the accuracy of any changes submitted to Hotwire through an Electronic Message. For purposes of this Agreement, an Electronic Message is defined as messages delivered via an extranet or direct functionality, if implemented. If Hotel submits changes to Hotwire through an Electronic Message after this Agreement terminates, then the terms of this Agreement shall apply to any bookings made by Hotwire customers prior to such termination, unless the Parties mutually agree in writing to different terms. Hotwire shall only be obligated to pay to Hotel the Rates available at the time of booking. 5. Accommodation of Reservations. Hotel shall treat Hotwire customers no less favorably than average customers in all respects including with respect to overbookings, provided that Hotwire customers shall not receive loyalty points or credits. All Hotwire reservations shall be held open until check-out time following the first night covered by such reservations. The parties acknowledge that Hotwire bears no risk for failure to book any room in Hotel and that nothing in this Agreement constitutes a sale or rental of rooms from Hotel to Hotwire. Hotwire makes no warranties or representations regarding the System, or its ability to obtain reservations for any rooms. Hotel is solely responsible for ensuring that the identification presented by a guest is valid and matches the booking information contained in the reservation information provided to Hotel. If Hotel violates the preceding sentence, and, as a result of fraud relating to such booking, Hotwire refunds amounts previously paid to Hotwire, then Hotel shall pay to Hotwire or credit Hotwire's credit card account (at Hotwire's election), an amount equal to the amount paid Hotel for such booking to offset the amount of such refund within thirty (30) days after Hotwire's request. 6. Billing. Within 30 days after a guest's departure, Hotel shall charge Hotwire for each room consumed by a guest to the applicable credit card provided by Hotwire. If, at check-in or check-out, a Hotwire customer requests a separate receipt for a reservation, the receipt issued by Hotel shall reflect only the incidental charges, and surcharges, if any, paid to Hotel by the customer and not the Rate or taxes paid for the reservation. If a guest requests additional nights or rooms to the guest's reservation directly from the Hotel, whether upon arrival at the Hotel or otherwise, then any such additions shall constitute an agreement between Hotel and guest separate from the Hotwire reservation and Hotel must charge the guest directly for such additions and Hotel is solely responsible for collecting any charges for such guest's requested changes or other charges. a. Hotel acknowledges that Hotwire generally has no knowledge (i) of guests' actual arrival or departure dates, or (ii) of any cancellation notice that may be given by guests directly to Hotel, or whether any such cancellation notice as may be given is sufficient under Hotwire's policies to relieve guests (and Hotwire) of all or any portion of the charges otherwise due to Hotel. Accordingly, Hotwire shall be entitled to rely on the charge made by Hotel to the applicable credit card as the accurate amount payable to Hotel. If Hotel fails to charge Hotwire within 30 days after a guest's departure, then (1) no amount is due to Hotel by Hotwire for such room, (2) any later invoice containing charges for such room is void, and (3) Hotwire shall have no further obligation to Hotel with respect to the later invoice or such consumed room. b. If Hotel and Hotwire dispute any charge on any consumed room, Hotel must not (i) charge the disputed amount to any other credit card provided by Hotwire, (ii) charge or attempt to charge any guest directly for the disputed amount, (iii) refuse to honor any other reservations made by guests, or (iv) take any other action likely to interfere with the fulfillment of a guest's reservation at the Hotel without the consent of Hotwire. If Hotel breaches its obligations under this Paragraph 6.b by collecting disputed charges from the guest or revealing the Rates to a guest, and, as a result of such breach, the guest requests that Hotwire refund amounts previously paid to Hotwire, then Hotel shall pay Hotwire or credit to Hotwire's credit card account (at Hotwire's election) the amount of any such refund within thirty (30) days after Hotwire's request. Hotel shall provide to Hotwire proof of the guest's stay at the Hotel upon request. Hotel shall not charge any amount for a Room if a guest arrives at Hotel but departs as a result of the guest's dissatisfaction with Hotel. 7. Cancellations. If Hotwire grants a customer a refund for a reservation, Hotel shall promptly refund to Hotwire any amounts it has charged for such booking, provided that Hotel may be entitled to retain payment equal to the Rate plus applicable taxes for one night. Hotwire may revise its refund policy from time to time provided that no such revision shall materially expand the circumstances under which Hotwire grants refunds. Furthermore, Hotwire may grant refunds to any customers within a reasonable time following a catastrophic national event provided that Hotwire acts reasonably in light of the policies approved by Hotwire's major suppliers for the grant of such refunds, and Hotel shall promptly refund to Hotwire any amounts it has charged for such bookings. a. If a reservation is a Potentially Fraudulent Reservation (as defined below), or certain data provided by the guest cannot be verified by Hotwire prior to 4:00PM (of the Hotel's local time zone) of the day that is one (1) day before the date of arrival, then Hotel and Hotwire agree to work together to address the Potentially Fraudulent Reservation, which may include canceling such reservation by notifying the Hotel in the manner described in Paragraph 13 at any time up to 4:00PM (of the Hotel's local time zone) of the day of arrival. Hotel agrees that, for reservations cancelled under the preceding sentence, Hotel shall not charge Hotwire the one-night cancellation charge described above and shall promptly refund Hotwire for any charges it has made for such reservations. "Potentially Fraudulent Reservations" means reservations that result from (i) invalid or incorrect information supplied to Hotwire at the time of booking, as a result of a credit card dispute, or as a result of a report of unauthorized charges, or (ii) bookings that may be associated with previous high risk or fraudulent transactions. 8. Taxes: All Rates provided by Hotel to Hotwire shall be net and exclusive of all applicable taxes and surcharges, including energy charges. Prior to loading any Rates in Hotel's CRS that are to be made available for booking through the System, Hotel shall provide Hotwire with all tax information applicable to the Hotel. Hotel is solely responsible for the accuracy of such tax rate information and for the accuracy of any changes submitted to Hotwire. Hotwire shall collect an amount from the guest that includes an amount to cover taxes on the Rates based on the information provided by the Hotel and Hotel shall include such amounts in the charges made to the applicable Hotwire credit card. Hotel shall be responsible for paying to the appropriate tax authorities the full amount of all taxes applicable to the Rates for Hotel reservations. Hotel shall indemnify, defend and hold harmless Hotwire and its officers, directors, employees, agents and affiliates from and against all assessments or payments for tax, interest and penalties applicable to any reservations as a result of (a) any tax information provided to Hotwire being incorrect or outdated or (b) Hotel failing to pay to the proper taxing authorities, in whole or in part, any taxes remitted to such properties by Hotwire. 9. Force Majeure/Inability to Honor Reservations: A party's failure to perform under this Agreement is excused if the failure results from an unforeseeable cause beyond that party's control, such as war, work stoppage, fire, weather events, air carrier interruption, or act of government. A party whose performance is impaired as a result of such an unforeseeable cause shall promptly notify the other party. If Hotel is unable to honor any of its reservations as a result of such an unforeseeable cause or because of an unusually low number (based on historical information and trends) of no-shows or cancellations, then Hotel shall immediately (a) notify Hotwire of such inability, (b) relocate the guest to a comparable property, and (c) prepay to such comparable property the room charges for the nights in question, together with all transportation costs of the guest to such alternative accommodation. 10. Confidentiality: Without the express written consent of the disclosing party, no party shall disclose or allow the disclosure to any third party, or use other than as specifically permitted in this Agreement, any confidential, proprietary or trade secret information of such disclosing party. A party shall not be liable for the disclosure of any confidential, proprietary or trade secret information if such information (i) becomes publicly available without the receiving party's breach of any obligation owed to the disclosing party, (ii) became known to receiving party prior to disclosing party's disclosure of such information, (iii) became known to receiving party from a source other than disclosing party where such source did not breach an obligation of confidentiality owed to disclosing party, or (iv) is independently developed by the receiving party..
11. Merchandising: Hotwire has the right, solely for the purposes of merchandising and obtaining reservations for Hotel, to use the name, logos, trademarks, and images from Hotel's website or provided by Hotel (including photographs) used to identify or promote Hotel. Hotel warrants that such use does not infringe on any third party's rights. 12. Term: This Agreement will become effective as of the Effective Date and will continue for an initial term of one (1) year. Thereafter, it shall renew automatically for periods of one year on each anniversary of the Effective Date, unless either party gives the other party at least thirty (30) days written notice prior to an anniversary date of its intention not to renew. Notwithstanding the foregoing, either party may terminate this Agreement upon written notice if the other party is in material breach of this Agreement, if written notice of such breach has been given and if the breach has not been cured within thirty (30) days following receipt of such notice. 13. Notices: All notices of termination or default given by one party to the other must be in writing and sent by confirmed email, facsimile or a nationally recognized overnight air carrier to the fax number or addresses listed in the signature blocks hereto. a. This Agreement is governed by California law without giving effect to any conflict of law principles. Each party consents to the exclusive jurisdiction and venue of the courts in San Francisco County, California for all disputes arising out of or relating to this Agreement. If a dispute arises under this Agreement, then the parties shall try to reach an amicable settlement. If they do not succeed, then the parties in dispute must attempt to settle the dispute by participating in nonbinding mediation in San Francisco County, California. The disputing parties shall share equally the costs, including fees, of the mediator. Except as set forth in the preceding sentence, the prevailing party in any suit or other action arising out of or related to this Agreement is entitled to recover its reasonable fees, costs, and expenses relating to the action, including reasonable attorneys' fees, expenses and disbursements. Each party waives to the fullest extent permitted by law trial by jury of all claims arising out of or relating to this Agreement. b. Each party shall fully comply with all laws applicable to its business and operations. In particular, Hotel shall fully comply with any applicable unfair and deceptive trade practices and price gouging laws when setting or changing Rates under Section 4. Any violation of such statutes by Hotel would be the sole legal and financial responsibility of Hotel. Each party warrants that it has the right to enter into this Agreement. Hotel shall, at its expense and at Hotwire's request, hold harmless, indemnify and defend Hotwire, its affiliates or any of their directors, employees, or agents, against any third-party claim or action brought against any of them, arising from or relating to Hotel's accommodations or services or Hotel's breach of this Agreement. c. No party to this Agreement shall assign or transfer this Agreement or any rights or obligations hereunder without the prior written consent of the other party, provided, however, that either party may, without the prior consent of the other party, assign or transfer this Agreement as part of a corporate reorganization, consolidation, merger or sale of all or substantially all of its assets to another entity provided said entity assumes all of such party's obligations hereunder. This Agreement does not create a partnership, joint venture or agency relationship between or among the parties. Hotel acknowledges that Hotwire provides bookings for multiple hotels, including competitors of Hotel, that Hotwire has no obligation to disclose any terms relating to Hotwire's relationship with other hotels, and that Hotwire is relieved from any duty, and does not have any duty, to disclose or segregate in any manner any amounts collected by Hotwire from guests under this Agreement. Each party acknowledges and agrees that the other party may receive rebates from third parties as a result of services provided under this Agreement. This Agreement is the parties' entire agreement respecting its subject matter and supersedes all prior agreements, written and oral, respecting the subject matter. Any waiver or modification of this Agreement must be in writing and signed by the parties to be effective. If any part of this Agreement is deemed invalid or unenforceable by a court of competent jurisdiction, then the remainder of this Agreement continues in effect. The parties acknowledge and agree that Hotwire may archive an electronic copy of the fully-executed Agreement, and further agree that any request made to Hotwire for a copy of this Agreement may be fulfilled in electronic form. d. Hotel represents and warrants that it has liability insurance coverage in an amount that is consistent with industry practice. To the extent permitted by law, Hotel shall either (a) name Hotwire as an additional insured on any liability insurance policies on which it pays premiums, and deliver to Hotwire certificates of insurance that verify compliance with the preceding clause or (b) provide other evidence of insurance acceptable to Hotwire that indicates that Hotwire will be covered by Hotel's insurance in the event of a claim relating to this Agreement. Hotel shall cause Hotwire to receive thirty (30) days prior written notice before such insurance is cancelled or expires. No later than ten (10) days prior to the date of expiration of an existing insurance policy, Hotel shall deliver new certificates (or other evidence) of insurance to Hotwire for any renewal policies. Hotwire may terminate this Agreement if Hotel fails to comply with this provision. e. Hotwire reserves the right to recoupment and offset for any amounts owed by Hotel under this Agreement or any other agreement between Hotel and Hotwire. Upon written notice, a party may terminate this Agreement immediately if any other party ceases to do business, becomes insolvent, or is subject to bankruptcy or insolvency proceedings, whether actual or reasonably believed to be imminent. If reasonable grounds for insecurity arise about a party's performance of this Agreement, then the other party may demand written adequate assurance of due performance. Until the requesting party receives such assurance in writing, it may suspend its performance of this Agreement. If the written assurance is not received within five (5) days after its request, or within such other reasonable period of time as a requesting party may designate, then the failure to furnish such assurance constitutes a material breach of this Agreement, and the requesting party may immediately terminate this Agreement. f. Hotel shall cooperate actively and in good faith with Hotwire in relation to any Health & Safety program as required for properties conducting business in the European Union, which program is intended to raise the general safety standards enjoyed by customers. At Hotwire's request, Hotel shall promptly provide Hotwire with a copy of Hotel's annual operating license and/or similar certificate(s) indicating Hotel's compliance with the health and safety obligations required for it to operate legally in its jurisdiction. In addition, Hotwire may provide Hotel a health and safety self-assessment questionnaire ("Self-Assessment") from time to time. Hotel shall supply the information requested in the Self-Assessment in a timely manner. Further, Hotel shall permit any employee of or consultant appointed by Hotwire to carry out any inspection, audit or risk assessment of the accommodation in relation to health & safety. Where recommendations relating to health and safety are made as a result of any of the above, Hotel shall implement such recommendations within mutually agreed timescales. If Hotel fails to implement any such health and safety recommendations within the agreed timescale, or if Hotel fails to timely provide a copy of Hotel's annual operating license or similar certificate(s) when so requested, then Hotwire may terminate this Agreement immediately upon written notice to Hotel. By confirming agreement with these terms below, the Hotel agrees to comply with the Terms and Conditions stated here. If Hotel does not agree with any part of these Terms and Conditions, HOTEL MUST NOT USE THE HOTWIRE SERVICE. Hotwire may at any time modify these Terms and Conditions and Hotel's continued participation in the Hotwire service will be conditioned upon the Terms and Conditions in force at the time of Hotel's use.